I was in Ottawa recently to present my thoughts on the state of the Canadian SaaS industry. The fact that 500 people showed up on a Wednesday night says a lot about the state of our ecosystem. Canada is ‘SaaSy’. I don’t need to look at the stats in order to know that our ecosystem is thriving and that SaaS companies represent the largest portion of startups in our country. Nevertheless, look at stats is exactly what I did. Here is the good, the bad and the ugly of Canadian SaaS. 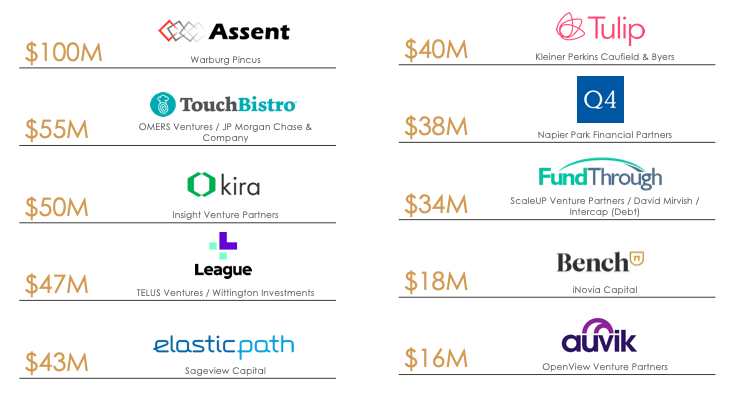 To prepare for this talk, I looked at SaaS venture funding since 2017 as well as exits (mergers, acquisitions, and buyouts) in 2018. A look into this deal activity reveals many things. VC funding is the logical place to start. After all, this is how many startups get going. Also, we place a lot of attention on VC (I would argue far too much attention, but that’s another topic for another time…). The trends here are surprising. I had expected deal count and dollars to be up significantly in 2018. After all, the headlines for funding in the US are bigger than ever. However, deal count was down 5 percent from the prior year. Capital invested was down 15 percent. About half of the capital raised in 2018 went to late-stage deals. This is a welcome development in our ecosystem. It’s easier than ever to start something. It is as hard and expensive as ever to finish something and win in your market. Late-stage funding is key. When you drill into deal sizes by stage, it becomes clear that our companies are not raising enough capital. Especially in comparison to their US peers. Our companies are raising much less than their US counterparts. Given that the US is the primary market for most startups, this puts our companies at a disadvantage. 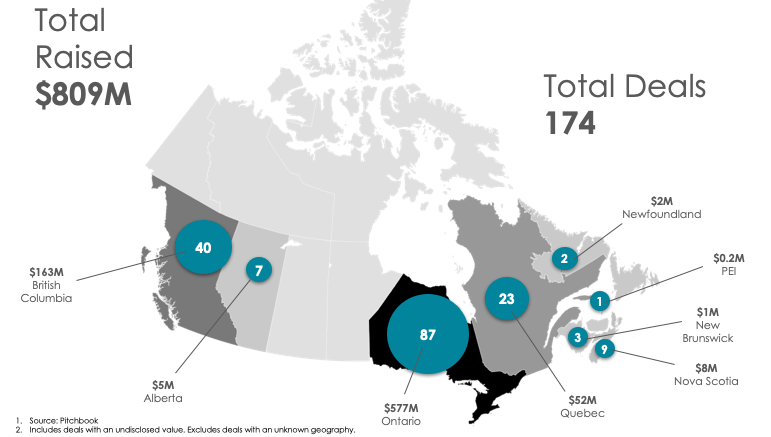 The average seed round in Canada in 2018 was $1 million. The average series A was $5 million. The average series B was $12 million. It takes Canadian SaaS companies, on average, two years to go from seed to series A, $1 million rarely lasts two years. This means that our companies end up having to raise multiple rounds before getting to a series A. They have to raise these rounds without the necessary traction and validation. This results in time lost fundraising vs. operating. In addition, it sees many founders experiencing heavy dilution early on. We need funds in order to get funded (brilliant insight, I know…). 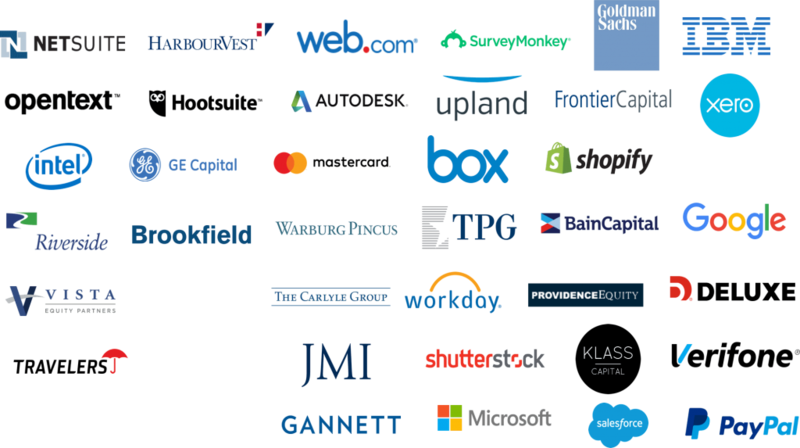 I’m pleased to report that 2018 saw several firms raise new pools of capital. 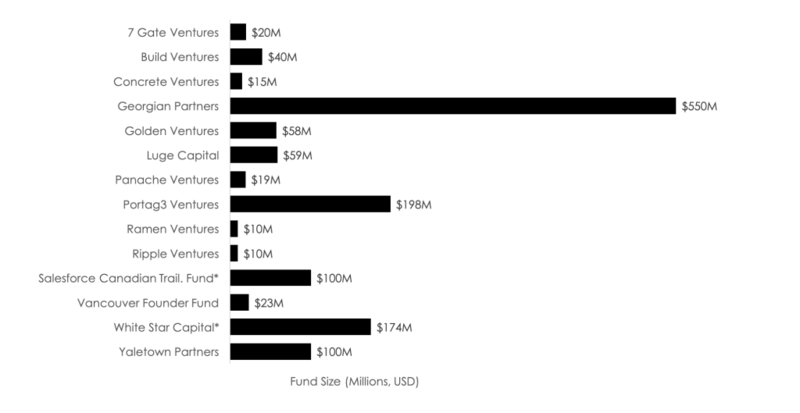 In total, $1.4 billion USD of new capital was raised by funds that invest in SaaS last year. Going back to my comment about the importance of late stage funding, I am particularly excited to see Georgian Capital’s new fund, accounting for over one third of all capital raised last year. The 2018 fund vintage also includes specialist firms such as Luge Capital (focused on fintech), regional funds such as Build Ventures (Atlantic region), and firms that have moved their focus up market such as Yaletown. I am pleased to report that 2018 saw deals happening coast to coast. As you would expect, Ontario represented 50 percent of the deals. The top three provinces (Ontario, BC, and Quebec) accounted for 86 percent of all deals. Deal sizes were largest in Ontario ($7 million on average). Deal sizes in the other provinces (excluding the top three) were all below $1 million on average. We still have work to do to support our companies universally across the country. 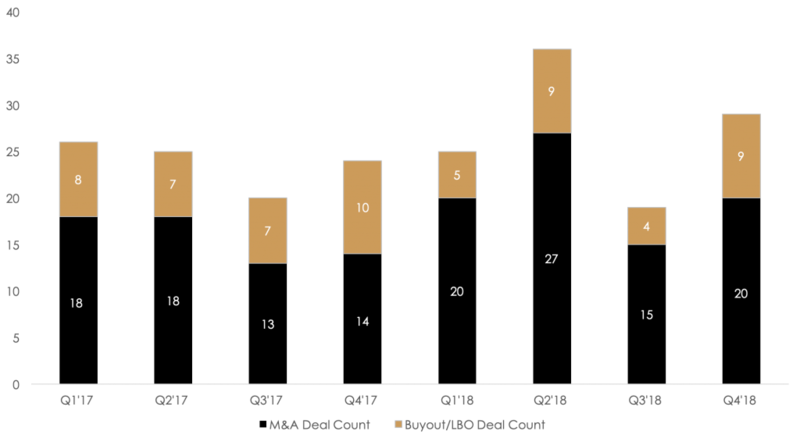 There are some interesting takeaways: the top 10 deals include private equity funds (I will come back to them later), strategic investors such as JP Morgan, and tier 1 funds such as Kleiner. This is all positive. I am particularly excited to see iNovia leading series B rounds in companies like Bench. This is a continued evolution of our domestic funding market with iNovia now having a dedicated growth fund. As soon as you raise VC, you are committing to deliver an exit. So, let’s turn our attention here. Exit deal count has been reasonably consistent in the last two years. 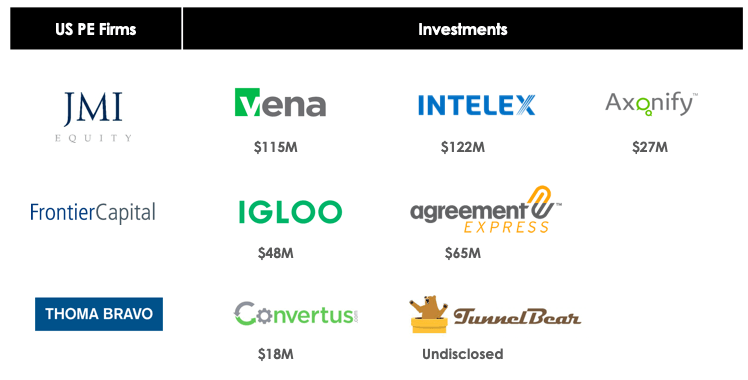 However, with the sheer volume of funded companies out there, I would have hoped to see a lot more exits. Over the last five years, there have been two companies funded for every company that has exited. These are not the same companies per se. In fact, when you drill into the data, SaaS companies are, on average, ten years old by the time they exit. However, looking at the ratio of fundings to exits just gives us a sense of whether our funding ecosystem is seeing exits that can return capital. In my opinion, we have a challenge with exits. We are not generating enough of them and the exits we do realize are much smaller than exits in the US. As you can see our average exits are significantly smaller than US exits. Last year, the average exit of a Canadian SaaS business was $24 million. That’s life changing if your company is bootstrapped. But if you have raised venture capital, it’s likely a non-event for you and your investors. One thing I have noted in recent years is that the list of buyers of Canadian SaaS companies is getting longer. Historically, there was a small number of high volume buyers such as Google and IBM. Now, it’s much more long tail. There are many different kinds of buyers and most buyers purchase infrequently. Here are some of the buyers of Canadian SaaS companies in the last five years. As you can see, we have many buyer types. We have the stereotypical US public companies such as Google and Microsoft. In addition, we have PE firms like Riverside and Vista, international companies such as Xero, and Canadian buyers like Shopify. Every startup will have its own bespoke list of natural buyers; exit strategy is thus unique for each company. Private Equity (PE) funds are likely less familiar to you, but they are growing force in the market. If you have a SaaS business with $10 million or more of revenue and you have a low burn rate or are already profitable, then PE could be a good option to explore. PE funds have gotten religion on SaaS in the last few years, realizing that profitable unit economics are more important than bottom line profitability. PE firms are currently investing $1.2 trillion and have an almost insatiable appetite for deals. Our last three deals at SurePath have been PE deals. They are a huge force in the market. If they are not on your radar screen already, they will be soon. We are already seeing PE deal flow happening here. Here are just a few of them. Despite the concerns raised above, Canadian SaaS is thriving. We have companies in every province catering to every market. When I first entered the startup world software was sold on premise. You had to be where your customers were. This put Canadian companies at a disadvantage since most customers were in the US. With SaaS, your customers are everywhere. When I was at FreshBooks, we had customers in 120 countries. They didn’t care where we were located, so long as we delivered great software and support. One of my long-time observations about the Canadian technology ecosystem is that the best and worst thing about it, is its proximity to the US. The US is the main commercial market for most startups and the main source of funding globally. Because we are physically attached to the US, we are inseparable from it. Other countries such as Germany and Israel have full-stack ecosystems, they are self-contained out of necessity. We are very much dependent on the US for growth capital and acquisitions. This is good and bad. As a result of this inextricable link between Canada and the US, it’s important to compare funding levels and exit outcomes. As mentioned above, we are lagging on both fronts. Our companies raise less capital than their US peers and achieve significantly smaller exits. There is no structural reason for this to be true going forward. 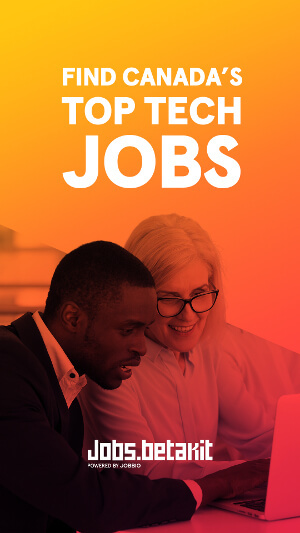 Our talent is globally recognized, as is our strength in fields such as artificial intelligence. Canada is rightly seen as an attractive place to build companies. We have lower costs, access to talent, more talent loyalty, and many other strengths to leverage. Investors and buyers are increasingly recognizing this. 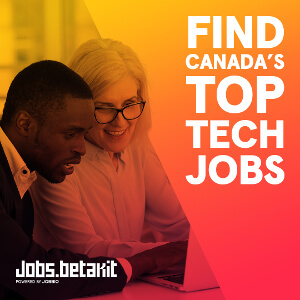 All of the largest software companies now have meaningful offices in Canada. I’d like to end by coming back to exits. Exits are the fuel that feed our ecosystem. The experience of getting to a successful exit, and the capital that comes from that, helps feed the next generation. We depend on this cycle. In my experience, there is a stigma that exists when it comes to exits. I am biased given that I sell SaaS companies for a living, but there is nothing wrong with selling your company. Everything is for sale at some point. Precious few companies can, or should, go public. When you look at exit activity by deal size, most deals are quite modest (sub $50 million). To achieve profitable exits at this scale, we have to do more with less-generate more revenue in a capital efficient way. I don’t want to discourage anyone from “going for it”. We need more ‘Shopifys’! I just want our SaaS founders to go for it with their eyes wide open, to realize how hard it is to achieve significant outcomes. The word I use ten times a day is “optionality”. If you have a business that can get to cash flow break even before running out of money, or has the financial performance to raise more capital and is known to its most logical buyers, then you are in the driver’s seat! You have multiple options and leverage when it comes to pursuing your growth strategy. There you have it. Bottom line – the state of Canadian SaaS is strong, but we have work to do! Great article, and I too agree there are not enough exits in Canada. I applaud you for calling out the “negative” stigma that seems to be around exiting. The negative view is very erroneous and dangerous to the entire ecosystem. Start companies, raise money, grow, exit and the cycle of life. The real problem is to ensure that those that do exit don’t quit the game, but rather, repeat the cycle again, and with more ambitious and grandiose intentions.